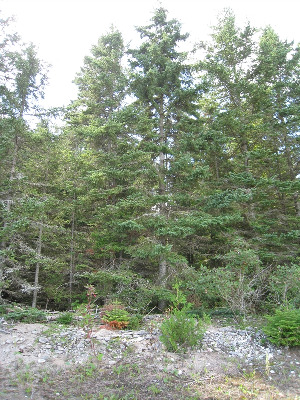 Coniferous swamps, mixed forests, bogs, and stream borders, often seen in thickets and forests on dunes and gravelly shores along the Great Lakes. Frequently planted south of its native range. MICHIGAN FLORA ONLINE. A. A. Reznicek, E. G. Voss, & B. S. Walters. February 2011. University of Michigan. Web. April 21, 2019. https://michiganflora.net/species.aspx?id=1920.